We take so many drugs is that drug companies don’t sell drugs, they sell lies about drugs. This is what makes drugs so different from anything else in life…Virtually everything we know about drugs is what the companies have chosen to tell us and our doctors…the reason patients trust their medicine is that they extrapolate the trust they have in their doctors into the medicines they prescribe. The patients don’t realise that, although their doctors may know a lot about diseases and human physiology and psychology, they know very, very little about drugs that hasn’t been carefully concocted and dressed up by the drug industry…If you don’t think the system is out of control, then please email me and explain why drugs are the third leading cause of death…If such a hugely lethal epidemic had been caused by a new bacterium or a virus, or even one hundredth of it, we would have done everything we could to get it under control. This is a short blog. The only reason I have written it is to make you aware that this book exists, and to urge you to buy it, and read it. Disclosure of Interest (D.O.I). I have absolutely no financial interest in this book. I know Peter Gotzsche through e-mail conversations. This entry was posted in Dr Malcolm Kendrick and tagged big pharma, cholesterol, corruption, doctor, dr. malcolm mckendrick, statin nation, statins, the great cholesterol con on September 19, 2013 by Dr. Malcolm Kendrick. Thanks for the post, I did have a quick look at the book listing on Amazon but at £24.99 its out of my price range. This must be one of the most respected independent organisations out there. Yes, the price was a shock to me, as I normally look at secondhand books. But it seems so important I swallowed hard and ordered it. I wonder if your library would get it in for you, and thereby make it more available to the general public. Too few people know about these issues. If we live in the UK we have publically funded lending libraries. They have a budget for the purchase of new stock and do appreciate suggestions from their users. Library services will order stock as a matter of course and they will have buyers who make choices and spend money, but the more suggestions and requests that come from the public then the more money is spent in association with requests. If you baulk at the cost of this book, and why shouldn’t you?, then you are actually doing the library service and other users a great public good by submitting a request. My own service has been fantastic in ordering in stock for my requests (which are not too numerous) and I will mention them by name: It’s Stockport. Another thing they can do upon request is to source titles that may be hard to put a hand on through ILLS (which is the inter-library lending scheme). There is usually a small fee to initiate an ILLS request. An instance of an ILL forms the foundation for these remarks. It’s, ‘The Future of Money’ (Bernard Lietaer), and it’s actually an appendix that is most promotionbal of cognition. Lietaer has published more recent titles. He mainatains a website. Library services run by local authorities are under pressure, as are many public services, due to contraction in funding .. .. which is traceable to the scarcity of money .. which is traceable to an inevitable and periodic contraction in the capacity to sustain ongoing supply in keeping with need .. which arises from the design of the kind of money that predomincates .. that’s called ‘fiat cuurency’ .. and fiat currency consistently plots its own periodic demise as a consequence of its ‘design’. The reason Big Pharma is so intent upon deceiving us is actually and ultimately the same reason local authorities are struggling to maintain public services. Who is responsible? Each of us are. Each of us tries to acheive something that is a systemic and collective impossibility so long as we do so with our hopes invested in fiat currency. It is at this point that even the most open and agile of minds clam up in order to resist associating distasteful eventualities with such a seductive cause. It is an exceedly enigmatic a statement to make, but true nonetheless; a great many of us would have greatly elevated prospects of enduring good health, if only we could see the expediency, personal and political, in making better and more widespread use of better (alternative types of) ‘money’. We do not have to do away with ‘money’, for fiat currency is actually very good in some respects, but its one great weakness is that supply periodcally breaks down and results in stresses that constrain the delivery of much needed functions. Even cheap food trends to become expensive for the needy as capacity to sutain supply of new money declines. Alternative currencies more conducive to the preservation of basic (basal) levels of economic democracy would save a lot of heartache in the long run. We cannot engender changes for the better, via legimate and rightful process, so long as we remain hopelessly and inadequately informed. It isn’t just that libraries are under-funded, they are pitifully under-valued by many who use them, and all that don’t. Celias direction is excellent. Dr Kendricks recommendation looks good to me. Do let us know, doc, if he has anything much to say about statins. And what about synthetic Levothyroxine that replaced Natural Dessicated Thyroid (NDT)? The drug companies don’t want patients to be given the choice of NDT because they can’t earn a fortune from it in the way they can with their synthetic drugs. The result is that many patients are suffering needlessly and the drug companies are laughing all the way to the bank. Book looks interesting. Thanks for drawing attention to it. If he thinks that big pharma has corrupted doctors he should look at the history of tonsillectomies. 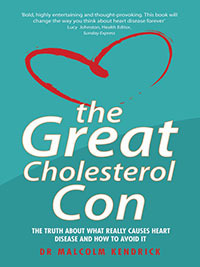 Dr K’s statin book was a revelation to me and its kept me off statins. 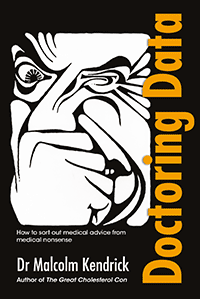 I’d love to read this book, but as we are all saying – it’s very expensive and we might find it too specific in medical terms and I’m not a doctor. Hopefully some useful bits will be published to help us out. At this price the only people who can easily afford it are the drugs companies!! This is a fascinating echo of a book that appeared exactly a year ago and made a massive splash here in France: the “Guide to the 4000 Medicines that are Useful, Useless or Dangerous”, by two very distinguished professors of medicine: Philippe Even and Bernard Debré. From the cover: “50% of medicines are useless. 20% are poorly tolerated. 5% are potentially very dangerous. But 75% are reimbursed [by the French Health Service]. Almost 100,000 incidents requiring hospitalisation, and 20,000 deaths every year. I hope the message is finally getting through! If such a hugely lethal epidemic had been caused by a herbal or nutritional medicine, we would have done everything we could to hang the naturopath / herbalist.